THE build-up to Zifa's national executive council elections has so far been chaotic, and the circus is showing no signs of abating after one aspiring candidate Gift Banda, who was disqualified from contesting the December 1 plebiscite, wrote to Fifa this week asking for the world's soccer governing body to intervene. 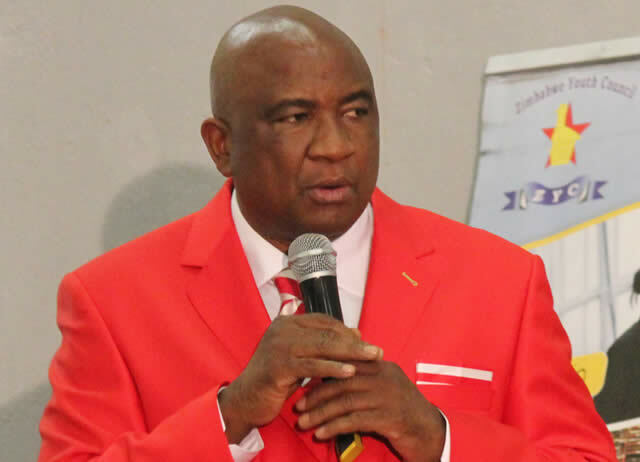 Banda - a former Zifa board member - had his bid to stand for the association's vice-presidency position, thrown away by the electoral committee for failing an integrity test. The electoral committee also said they could not accept his nomination papers since he was still undergoing rehabilitation following his ban by Zifa in 2011. Banda was disqualified together with Felton Kamambo and Mlungisi Moyo. Kamambo is vying for the Zifa president's post and is also challenging his disqualification, while Moyo wanted to contest for a board member position. Banda's attempt to appeal the disqualification through the appeals committee was swiftly thwarted by Zifa, who said his case could not be entertained on the basis that the former Southern Region chairman was already suspended from taking part in any football activities, including elections. In a letter dated November 6 and addressed to Fifa secretary-general Fatma Samoura and copied to the Sports and Recreation Commission, Banda wants the Zurich-based body to intervene and restore sanity to what he described as "a long-raging Zifa crisis". "My plea to your office is that you urgently intervene in the long-raging Zifa crisis which has now pronounced itself beyond doubt. Your intervention would go a long way in stabilising Zimbabwean football as well as leaving Fifa in the eyes of ordinary Zimbabweans as the international football body which does not support corrupt and self-serving individuals at the expense of millions of Zimbabweans. Fifa must live up to its commitments to fair play or fairness," Banda wrote. Banda narrated to Fifa how the association employed dirty tactics to frustrate him from getting a nomination form. "I was then told that my nomination form would only be accepted upon my obtaining of an integrity check confirmation letter from the Zimbabwe Anti- Corruption Commission (Zacc). Zacc for first time in the history of Zimbabwean football was asked to carry out integrity checks which by and large would be the sole responsibility of the Zimbabwe Republic Police's Criminal Investigation Department which processes fingerprints of individuals. I finally got my letter from Zacc which I duly deposited with Zifa offices before close of nominations. I paid the nomination fee of $4 400 to Zifa for my candidature and secured the mandatory three nominators. "On nomination day on November 2, 2018, the Zifa electoral committee, whose composition is seriously conflicted in terms of the members of the committee's impartiality met. My papers were thrown out as I was disqualified on account of allegedly failing to be properly nominated. As if that was not enough, I was deemed ineligible to contest as I was supposed to have served a mandatory five-year rehabilitation period after having been suspended from football in 2011. My suspension then was subsequently lifted after my application for review of the suspension was successful." "My written application for an appeal was duly received by Zifa CEO Joseph Mamutse on November 5, whereupon he literally turned down my plea to appeal. Mr Mamutse refused to accept my appeal, arguing that I was still suspended. I have, however, proceeded to file my appeal with Zifa in line with the Zifa and Fifa statutes and await the final response whereupon I will be left with no option other than approaching the courts. Sitting members of the Zifa board have been influencing the decisions of the Zifa electoral committee. The electoral committee also has members who are not impartial as they are conflicted. Please be advised that the 2018 Zifa elections were proceeded by mass scale suspensions and bans which did not observe the prescribed benchmarks and it is a matter of time before individuals approach the courts for redress. Daylight rigging of the Zifa elections from area zones up to the board has been the order of the day." Fifa is yet to respond to Banda's letter.